In agreements that select the PRC as the place for resolution of any disputes, it is common to see wording such as “parties should file a lawsuit at the people’s court which has jurisdiction” or “parties may file a lawsuit at the people’s court which has jurisdiction” (“應依法向有管轄的人民法院起訴” / “可以依法向有管轄的人民法院起訴”), without expressly specifying in such jurisdiction clauses whether the PRC courts are to have sole or exclusive jurisdiction (“唯一管轄權”). If a dispute arising in relation to such agreement and a Mainland judgment being obtained, whether the judgment can be enforced in Hong Kong depends (according to the requirements of the Mainland Judgments (Reciprocal Enforcement) Ordinance (Cap. 597) (MJREO)) on whether the Mainland Court has exclusive jurisdiction. This is a matter of construction of the jurisdiction clause in the agreement. The recent case of The Export-Import Bank of China v Taifeng Textile Group Company Limited & Anor (HCMP 3012 & 1684/2015;  HKCFI 1840) provides useful guidance for parties seeking to enforce a Mainland judgment in Hong Kong under the MJREO. The Court clarified that it is not necessary for the word “exclusive” or the like to be used in the jurisdiction clause for it to constitute a “Choice of Mainland Court Agreement”, as long as such clause, when properly construed in accordance with the governing law of the contract, does confer exclusive jurisdiction on the Mainland Courts. The Export-Import Bank of China case concerns a PRC loan agreement. According to the loan agreement, The Export-Import Bank of China (Bank), a licensed bank in Mainland China, extended export credit of RMB100 million to Taifeng Textile Group Company Limited (TTG), a company incorporated and carrying on business in Mainland China. The loan was guaranteed by Liu, a Mainland Chinese citizen. TTG failed to repay the loan and the Bank commenced legal proceedings in the Beijing No 4 Intermediate People’s Court against TTG and Liu (Mainland Proceedings). Neither TTG nor Liu entered an appearance in the Mainland Proceedings and the Bank accordingly obtained judgment against both of them (Judgment). The Bank then brought proceedings to enforce the Judgment in Hong Kong. It successfully obtained (1) a Mareva injunction in aid of the Mainland Proceedings against Liu over his assets in Hong Kong; and (2) a registration order against both TTG and Liu to register the Judgment as a judgment in the CFI of Hong Kong under the MJREO (Registration Order). Ground 2: The Bank failed to exhibit an Original Court Certificate as required under O.71A r.3(1)(a)(iii) of the Rules of the High Court to show that the Judgment was final and enforceable in the Mainland. The Court rejected both grounds and dismissed Liu’s application to set aside the Registration Order. In respect of Ground 1, the Court considered the proper construction of the “Choice of Mainland Court Agreement”. The clause in question was worded “訴訟應在北京有管轄的人民法院進行”. The Court accepted the Bank’s position and held that a jurisdiction clause may in substance and effect confer exclusive jurisdiction on the court nominated, irrespective of whether “exclusive” or like words are used. Further, the Court held that the requirement for a “Choice of Mainland Court Agreement” under s.5(2)(b) of the MJREO is fulfilled if the jurisdiction clause, when properly construed in accordance with the governing law of the contract (i.e. PRC law in this case), confers exclusive jurisdiction on the Mainland Court. In addition to adducing PRC legal opinions in support of its position, the Bank also referred to the case of Bank of China Limited v Yang Fan (HCMP 1797/2015) to show the principles for construing such clause under Hong Kong law. In that case, the Court held that whether a jurisdiction clause (namely, “可以…依法向有管轄的人民法院起訴”) confers exclusive jurisdiction is a matter of construction and interpreted the clause based on Hong Kong law (despite the governing law of the relevant contract being PRC law). In doing so, the Court examined the “factual matrix” of the case to ascertain the parties’ intention at the time the contract was made. The Court concluded that there was an exclusive jurisdiction clause, by relying on various factors linking the case to the PRC (e.g. both sides were PRC parties, the relevant agreements were executed in the PRC and were governed by PRC law and both the place of performance and breach was the PRC). As can be seen from the above, the approach adopted by the Court in The Export-Import Bank of China is different, to the extent that it did not rely on Hong Kong law in interpreting the jurisdiction clause. The Court made it clear that whether the jurisdiction clause in question confers exclusive jurisdiction is a matter of construction under the governing law (i.e. PRC law). On that basis, the Court went on to consider the PRC legal opinions relied on by the Bank and noted that following PRC law, the jurisdiction clause under the guarantee did confer exclusive jurisdiction on the Mainland Court. As for Ground 2, the Court emphasized that the ultimate question is whether the Hong Kong Court is satisfied that the Mainland Judgment is enforceable in the Mainland. The Court took the view that the production of an Original Court Certificate (i.e. a certificate issued by the original Mainland Court certifying that the judgment is final and enforceable in the Mainland) is not the only permissible form of evidence to fulfil the requirement under s.5(2)(d) and that other forms of evidence may also be acceptable, if the Court is satisfied that the judgment in question can indeed be enforceable in the Mainland. 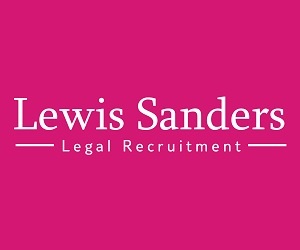 However, the Court noted that it is nonetheless advisable for practitioners to obtain an Original Court Certificate and produce the same to prevent unnecessary argument. 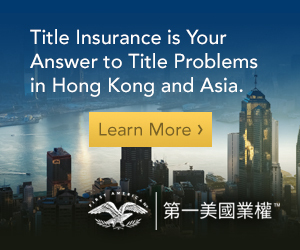 It is now clear that to ascertain whether a particular jurisdiction clause confers exclusive jurisdiction, it is not necessary for such clause to expressly include words such as “exclusive” or “sole” or “唯一管轄權”, although it is preferable to have these words to prevent future arguments. The focus is on whether such clause, by proper construction under the governing law, confers exclusive jurisdiction. The approach adopted by the Court in The Export-Import Bank of China should be the preferred one. The interpretation of the jurisdiction clause should be a matter of the contract’s proper law, i.e. the governing law. The Court was therefore right to base its views on whether the jurisdiction clause conferred exclusive jurisdiction, on the PRC legal opinion adduced. Considering this decision, parties seeking to enforce a Mainland judgment in Hong Kong should be prepared to adduce PRC legal opinion to show that the relevant jurisdiction clause does confer exclusive jurisdiction on the Mainland Court, if words such as “sole”, “exclusive” or “唯一管轄權” are absent from the jurisdiction clause. 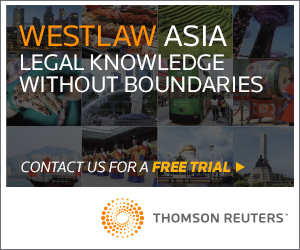 This decision reveals that the Court would prefer to construe the jurisdiction clause in a way that would facilitate the enforcement of the Mainland judgment in Hong Kong. 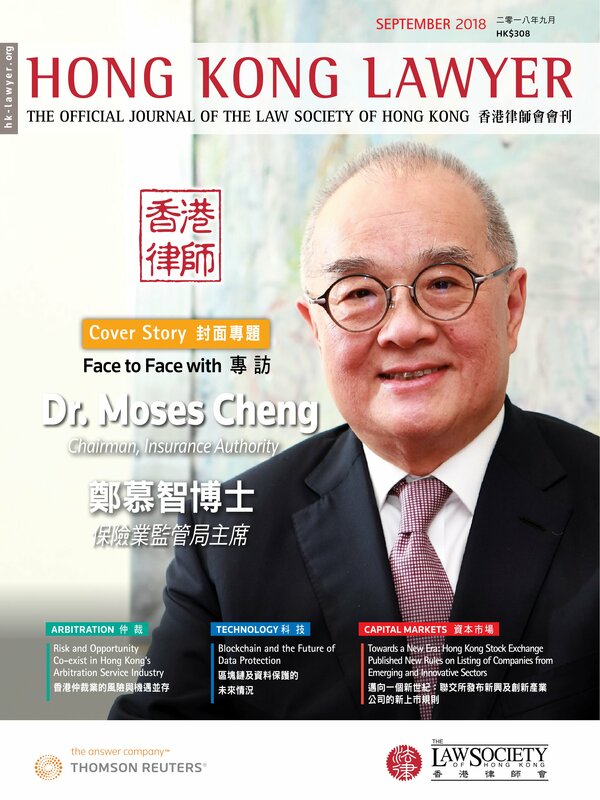 As recognised by the Court, given the increasing volume of economic activity between Hong Kong and the Mainland, there is a need for reciprocal enforcement of Court judgments with the Mainland and the ultimate purpose of the MJREO is “to facilitate the recognition and enforcement, by registration (as opposed to action) in Hong Kong, of monetary judgments given by courts in the Mainland”. This decision is to be welcomed.